private investment of about €175,000. This new centre is the 136th childcare centre in Malta and Gozo. The centre will accommodate 34 children, including newly-born children. This is the fifth such centre opened by Stepping Stones, the other four centres being located in Fgura, Birkirkara, Marsascala and Qawra and these in total employ 43 people. The Minister for Education, Evarist Bartolo said that in free childcare between April 2014 and December of last year, the Government has invested €72 million in childcare centres. He said that besides helping parents to continue their studies and to continue working, such centres also help children because from a very young age the children are cared for, loved, appreciated and their questions answered. The Minister said over 5,000 children make use of this service. He said that Government financial support has encouraged private investment and more than 100 childcare centres are private. Minister Bartolo said the few centres were in danger of closure because of difficulties but now there are 136 centres. Over the last five years more than 16,000 children have benefited from free childcare. The Shoreline Residence Ltd expressed its satisfaction for the definitive approval of its development application by the Planning Authority regarding its upmarket and distinctive landmark project on the east coast of Malta at Ricasoli. The Shoreline will be home to approximately 370 luxury apartments complete with a two-storey, double-height shopping mall covering 25,000 square meters, with ample space for underground parking and overlooking the Smart City Laguna, recreation areas and other amenities, making it one of the larger private construction projects in Malta to date. “This is another important step in the transformation of the southern side of Malta. Designed to be a sustainable, community-focused, environment-friendly and a visual masterpiece of modern Maltese architecture to be completed by 2023, The Shoreline project will deliver top quality residences and a series of upscale shopping mall outlets in the shortest time possible,” explained Ben Muscat, chairman of The Shoreline Residence Ltd. He also emphasised that while The Shoreline is a standalone project in its own right, it will benefit significantly from the eventual development of other elements within the SmartCity itself. The site excavation works are expected to start in the coming weeks, followed by the engagement of the main construction contractor in the last quarter of this year. A company spokesperson said that its luxurious project is a Leed certified development with professionally designed use of natural and artificial lighting. It includes a number of unique features such as a car-free and non-polluted environment and a noise-proofing system for the residences and the largest number of electric charging stations for electric and hybrid vehicles that any Maltese developer has yet invested in. The final aim is the creation of a unique lifestyle and a sophisticated destination within SmartCity Malta, located only a few metres away from the azure Mediterranean sea. Potential homeowners and investors are increasingly seeing the great upside potential for investment in these residences, consisting of a varied mix of 1-, 2-, 3-bedroom apartments, duplexes and penthouses, all with spacious terraces and offered highly finished with an excellent choice of sizes and layouts. As these residences enjoy a Special Designated Area Status, they can be purchased by both EU and non-EU nationals with the same acquisition rights as Maltese citizens and without the need to obtain Acquisition of Immovable Property permits. The Shoreline also offers a client-friendly payment structure consisting of a variety of schemes. These are intended to cover a wide spectrum of potential buyers including plans that are tailored for buyers who may wish to avail themselves of bank finance and structure their payments accordingly. 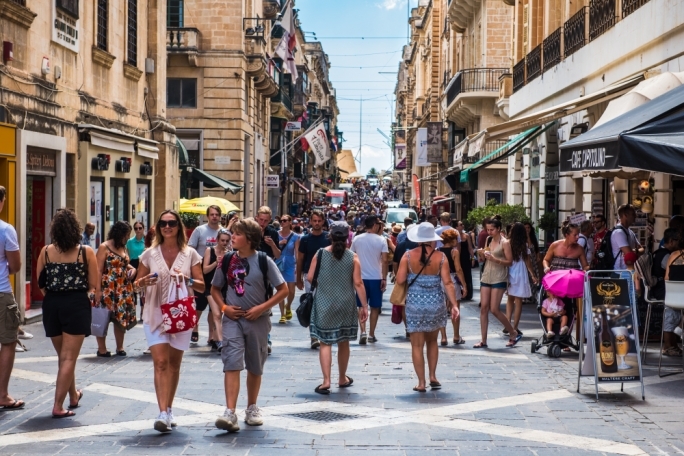 Malta’s high GDP growth makes it one of the most dynamic economies in the EU, according to the European Economic Forecast for Winter 2019. 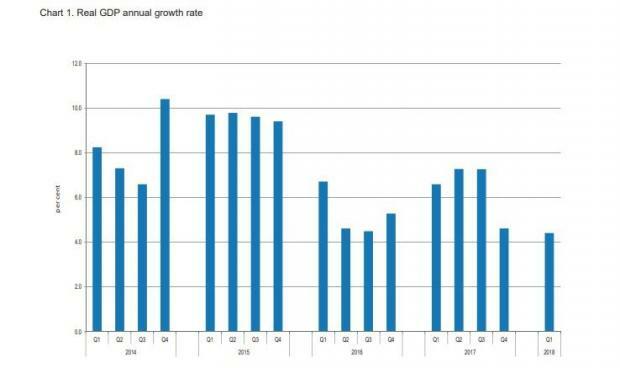 “Malta’s economy maintained a strong growth trajectory in 2018, with a particularly brisk expansion in the third quarter. 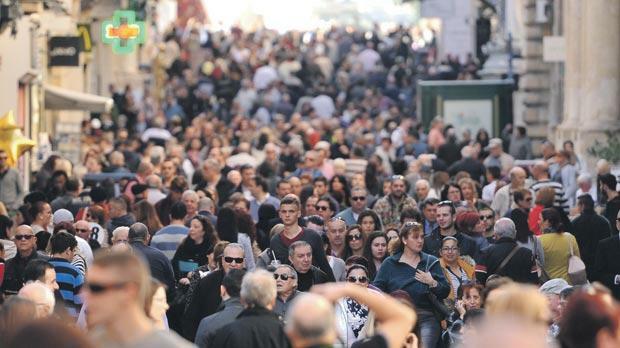 Real GDP growth is estimated to have reached 6.2 per cent in 2018, making Malta one of the most dynamic economies in the EU,” the report said. The report said that starting from the second quarter of 2018, domestic demand had replaced net exports as the main driver of growth. The flyovers, which are expected to be fully installed by the end of next year, cover around 12 km of either new or completely restructured lanes and will create new northbound and southbound connections between Triq Aldo Moro and Vjal Sir Paul Boffa, Vjal Sta Lucija, Triq Giuseppe Gaibaldi and Triq il – Marsa. 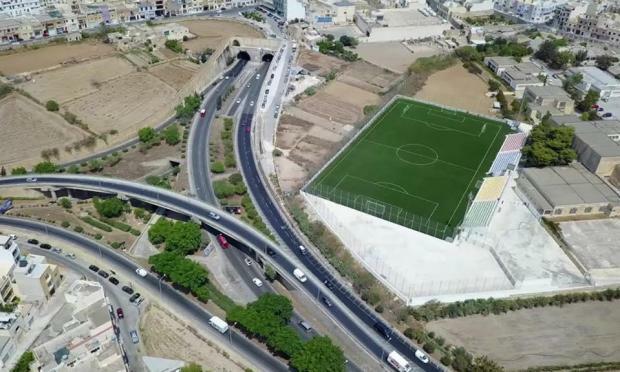 Cannon Road in Sta Venera is to be linked to the Marsa Ħamrun bypass to facilitate the flow of traffic from Birkirkara, Sta Venera and Ħamrun to the south of Malta, Infrastructure Minister Ian Borg announced on Tuesday afternoon. He said in a Facebook post, that the plans, prepared by Infrastructure Malta, continue to build on the project carried out last year to improve the bypass. He said that traffic flow towards Ħamrun and Qormi will also be improved thanks to the addition of another lane on the sliproad linking the bypass to the roundabout near the Maltapost depot. Another lane will be added to the bypass by utilising space created in the project launched last year. 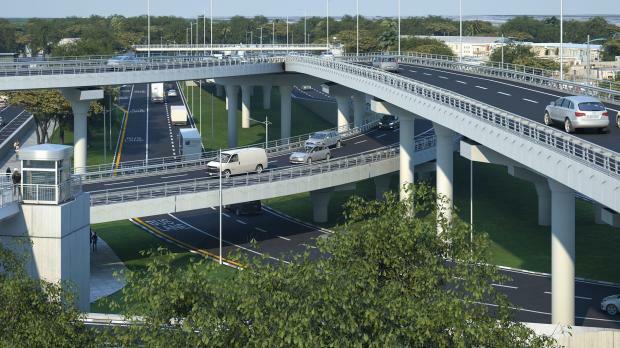 More than €60 million in government and European Union funds will have been spent on road infrastructure investments by the end of this year, information from the Transport Ministry provided to The Malta Independent indicates. The government in the run up to the 2017 general election pledged a whopping €700 million over the course of seven years for the improvement of Malta’s infrastructure. Infrastructure Malta, the agency coordinating this investment, was in fact set up and launched in September 2018. Prior to this however, the Ministry was already, through the directorate for road infrastructure, working to implement important road projects such as the reconstruction of residential roads, important junctions and various roundabouts, the Transport Ministry said. The ministry listed projects in Luqa, Qormi, and Lija, along with specific roads such as Mdina Road in Zebbug, the Marsa-Hamrun Bypass, Triq il-Keffa in Swieqi, Triq Bontadin in Birkirkara, and Vjal ix-Xarolla as some examples of this, whilst also making mention of the finalisation of the Kappara Junction Project, the initiation of the Marsa Junction Project, and the planned commencement of the Central Link Project and the Santa Lucija Tunnels. 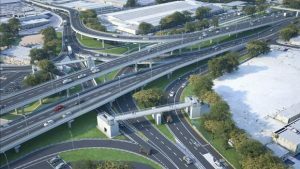 The second phase of the Marsa Junction project was in fact completed at the end of November, and the project has now moved onto the building of the seven flyovers that it will contain. That project alone will, in total, cost €70 million. 68% of respondents of a Flash Eurobarometer n Malta believe that, generally speaking, Malta’s membership in the European Union (EU) is a good thing. The results came from the first results of a European Parliament flash Eurobarometer which focused on public opinion, and the 2019 MEP elections Lead Candidate Process and European Parliament Media Recall. The survey was conducted between the 26 November and 3 December 2018. 26,071 respondents aged 15 or more took part across the EU. Whilst 68% of respondents said that membership in the EU is a good thing, 8% and 21% said that it was a “bad thing” and “neither a good thing nor a bad thing” respectively. In separate question, the significantly lower amount of 45% of respondents replied that the EU generally conjured up a “total positive” image, with 40% saying that the EU conjured a “neutral image” and 10% saying “total negative”. Maltese respondents answered very similarly to the European average. 57% of all member state respondents voted yes when asked whether this process of electing the President of the European Commission, depending on the results of the European elections, would make them more likely to vote than at the present. 36% voted that it would not make them more likely to vote, whilst 7% said they didn’t know. Locally, 44% of respondents answered in the affirmative, whilst the same number of individuals remarked that this move would not make them more likely to vote. An overwhelming number of respondents agreed with the statement that it only makes sense if it (the aforementioned lead candidate process) is accompanied by a real debate about European issues and the future of the EU. 60% of EU citizens say that they have recently heard about European Parliament’s activities from the press, seen on the Internet or on television or heard on the radio. Malta placed towards the lower end of the graph with 43% having said that they have recently herd about European Parliament’s activities, and 55% saying they haven’t. When queried on what they recall were the specific topics that were discussed, the top three answers were immigration, combating climate change and protecting the environment, and economy and growth at 77%, 70%, and 63% respectively. Immigration was the most frequently mentioned item in in Malta, followed by economy and growth, and combating climate change and protecting the environment. 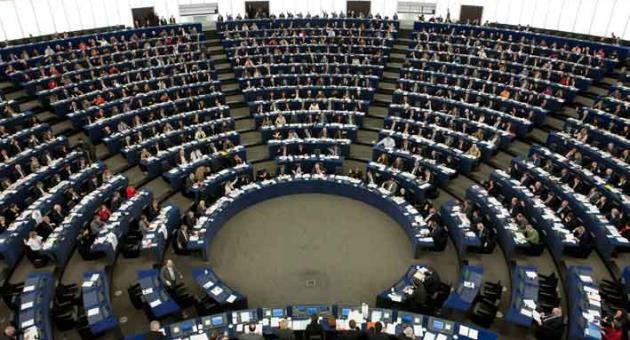 Malta placed at the higher end of the spectrum with regards to having heard about the next MEP elections with 57% saying that they had recently read in the press, seen on the Internet or on television or heard on the radio. Plans to move the Institute for Tourism Studies at SmartCity are still on track and the government will be presenting in parliament a land transfer agreement with the owners of SmartCity in the next few months, Tourism Minister Konrad Mizzi said today. He was answering questions put to him by MaltaToday after the official opening of the new ITS campus in Luqa, which was also attended by Zurab Pololikashvili, secretary general of the United Nations’ World Tourism Organisation. Mizzi said the government was still on talks with Dubai Holdings on the transfer of land. “Our plans are very much on schedule and ITS will be moving to its SmartCity campus and four-star hotel in fours years or so,” he said. After touring the campus with Pololikashvili and other stakeholders, Mizzi said ITS had a crucial role to play in the government’s vision of making Malta the best tourist destination around the Mediterranean. “Our vision is now to upscale and to spread solid tourist arrivals across more months of the year,” he said. Around 1,000 students are attending ITS this scholastic year, including 600 full-time students. 260 foreign students are attending the institute. PololikashvilIi said that institutes like ITS were helping to create quality jobs and were in high demand across the Mediterranean. “Our organisation is willing to assist Malta with programmes and tools to help it make ITS the learning institute of choice, as well as referring teachers and students to come here,” he said. ITS CEO Pierre Fenech praised the work of all parties involved in making sure the new campus was operational in time for this new scholastic year. Today Malta has a population of 432,000 and is home to 30,000 expats from around the world who are employed in multiple sectors, the main ones being gaming, financial services and construction. Rankings published earlier this year in the international InterNations Expat Insider survey, have placed Malta amongst the top 10 countries for good work-life balance and seventh as an overall as a destination for expats (12,500 respondents living in 188 countries). In 2017, the same survey quoted respondents’ replies for Malta as an ideal destination for a good quality of life, welcoming locals, warm weather and sea, choice of leisure activities, safety and security, and overall personal happiness. As though the above was not enough, we can add that Malta’s other riches lie in its deeply rooted history dating as far back as 5900BC, and having been a British colony for over 150 years, Malta adopted the English language as its second language. In addition, the 2017-2018 Global Competitive Index ranked Malta 11th for overall health and education. Malta has firmly established itself as a country which favours and facilitates foreign investment. Its location, and easy access to all major international airports have all contributed to foreign firms, as well as families seeking to relocate, choosing Malta as their main base. Malta offers an advantageous tax system and several relocation programmes such as the Residency & Visa and Global Residence programmes for non-EU citizens, as well as the Individual Investor Programme (IIP) which offers citizenship in a EU Member State. The International Monetary Fund has revised downwards its forecast for Romania’s economy, both for this year and next year, after a moderation of the stimuli that led to the robust growth of 2017, according to the latest World Economic Outlook report. In April, the IMF had estimated that Malta and Romania would have the largest economic growth in Europe in 2018, of 5.7 and 5.1 percent respectively. In this week’s report, the Romanian economy is only forecast to grow by 4 percent this year, and a 3.4 percent growth is estimated for 2019, a small decrease of 0.1 percent since April’s forecast. “Romania’s economy had a robust 6.9 percent growth in 2017 following fiscal stimuli and a solid external demand. The growth will slow down to 4 percent in 2018 and continue to decrease to 3.4 percent in 2019, as the stimuli become more moderate,” the report shows. Alejandro Hajdenberg, the IMF representative in Romania, had warned at the beginning of September that the IMF is considering a change to Romania’s growth prognosis this year. As for consumer prices in Romania, the IMF estimates have remained unchanged, at an annual growth of 4.7 percent, but they were revised downwards for 2019, when the increase in prices will slow down to 2.7 percent (compared to a 3.1 percent prognosis in the spring). In 2017, Romania had an average annual inflation of 1.3 percent. The IMF also changed its predictions on Romania’s current account deficit, to 3.5 percent of GDP (compared to 3.7 percent estimated in April). For next year, the organization expects Romania’s current account deficit to be around 3.4 percent of GDP (compared to its previous 3.7 percent prognosis). As for the world economy, the IMF had a downward growth prognosis of 3.7 percent in 2018 – 0.2 percent lower than its April predictions. “The downward revision reflects the surprises that have affected activity at the beginning of 2018 in a series of advanced economies, the negative effects of the trade policies approved or implemented between April and September, as well as the weaker outlook for a number of important emerging economies,” the IMF writes. Romania’s National Prognosis Commission had estimated a GDP growth of 6.1 percent in 2018, followed by 5.7 percent in 2019 and 2020 and 5 percent in 2021. The European Commission expects a 4.5 percent growth in 2018 and 3.9 percent in 2019. The banking sector in Malta remains well capitalised, highly liquid and profitable, and has continued to contribute to the local economy albeit at levels lower than hitherto observed, according to the Malta Bankers’ Association. Total assets of all the association’s 24 member banks stood at slightly less than €47bn at the end of 2017. Of these, the six “core domestic banks”, which have the strongest ties with the domestic economy, had a combined balance sheet total of €22.5bn (compared to €21.3bn in 2016), representing 207 per cent of GDP. Customer deposits with the “core domestic banks” maintained their upward trend, increasing by a further 3.4 per cent to reach a record €18.3bn (€17.7bn in 2016). Total deposits held with all banks now stand at €25.4bn. Karol Gabarretta, the MBA’s secretary general, said: “This indicates that despite historically low interest rates, Maltese households continued to demonstrate their trust in the local banking sector by increasing deposits at the core domestic banks mainly. In fact deposits from residents account for almost 90 per cent of the deposits of the said core banks”. Mr Gabarretta added that the ‘core domestic banks’ as the main players within the local banking sector remain committed to ensure the proper financing of the economy, despite the challenges outlined above and other costs brought about by the ongoing changes to the EU’s regulatory framework which was originally put in place following the 2008 global financial crisis. During 2017, credit provided by these banks increased by 1.1 per cent and stood at €10.6bn at the year-end (€9.6bn in 2016). Mr Gabarretta pointed out that notwithstanding this increase, as has been observed in the CBM’s Financial Stability Report for 2017 “resident lending to non-financial corporations (NFCs) by core domestic banks decreased as it became evident that NFCs are increasingly relying on other sources of financing, including loans from related companies, retained earnings as well as debt issuances”. The direct contribution of the banking sector to the local economy remains significant, as can be gauged from the 2017 figures: full-time bank employees: 4,688; payroll €187.7 million; taxation on profits €111.3 million; dividends paid to resident shareholders: €58.1 million. 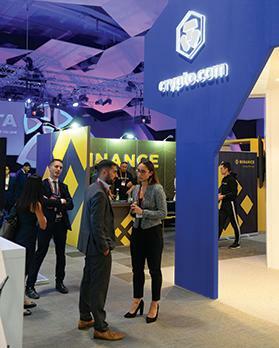 Malta is emerging as a prominent force in the world of cryptocurrencies. The European island-state has surprised many this year with its continual positioning as a “blockchain economy,” and is now edging over Gibraltar, another economy banking on blockchain for a resurgence, due to the latter’s shaky relationship with the European Union. As reported by Bloomberg on Oct. 4, the two Western European crypto havens are seeking fresh investments from blockchain-focussed venture funds and digital asset startups. But, it looks like Gibraltar is losing out on the crypto-race due to its deep connections to the U.K.–which recently voted out of the E.U. in a voter referendum last year. The British colony faces widespread concerns over its regulatory future, and with the already unregulated grey market of cryptocurrencies, entrepreneurs are seemingly seeking options that provide the least resistance and legal scrutiny for their crypto businesses. Investors and speakers at last week’s Delta Summit in Malta voiced their support for Malta’s foothold in the European single market and stated countries like Gibraltar, even famed Switzerland, lack a similar advantage. Malta’s push in the cryptocurrency world has been case study-worthy. From an island known to neighboring states as a beach retreat to one of the world’s only economies supporting the burgeoning cryptocurrency sector. The country has found its chance to rival economies like Hong Kong and Singapore –two global financial centers that were merely fishing and shipping ports only three decades ago. Their secret sauce? Allowing small and medium businesses to enter their jurisdiction and set highly-supportive regulations that appraise innovation. In September, Prime Minister Joseph Muscat highlighted Malta is poised to fulfill its “Blockchain Island” dream by setting up fast-track licenses and audit solutions in partnership with “Big Four” accounting firm PwC. The country further considered lowering its 5 percent tax rate for crypto businesses while the Maltese Stock Exchange explores launching digital asset trading on its bourse. At a recent event, Muscat stated that blockchain technology forms the “inevitable future of money,” and can create a more transparent and equitable society. He asserts that distributed ledgertechnologies (DLT) can transform the fundamentals of political, civic, and corporate systems. Thus far, the country has attracted cryptocurrency exchange players like Binance and OKEx to shift from jurisdictions like Hong Kong to its shores. The trio is reportedly forming a Founders Bank in Malta with the aim of proving financial and banking services to crypto startups. 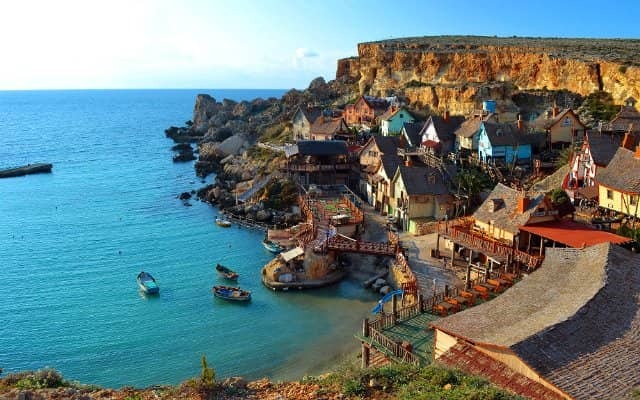 Meanwhile, Malta’s success is overshadowed by money laundering concerns and relatively high crime rates, with the European Commission preparing a binding guideline for Malta’s financial regulator to enforce on crypto businesses after the country’s unlikely jump to the top. GTG Advocates and Wyzer have announced they will be forming a new joint venture, Caledo, to act as a one-stop shop to blockchain companies. Led by two of Malta’s most knowledgeable pioneers in the blockchain and cryptocurrency space, Ian Gauci and Abdalla Kablan respectively, Caledo is the first Maltese entity to offer corporate, legal, regulatory and technological services under a single umbrella. Malta is fast becoming a global leader in the regulation of blockchain-based businesses and the jurisdiction of quality and choice for world class fintech companies. Bringing professionals who understand and embrace decentralised technology together with the island’s best legal minds, Caledo will bridge the gap between regulators and innovators by speaking the language of both. “We are excited to be joining forces with GTG Advocates to provide this new industry with a full spectrum of solutions,” said Dr Kablan, founder and chairman of Wyzer, following the set-up of the joint venture. Caledo will strengthen Malta’s competitiveness in attracting world leading blockchain companies and aims to make Malta the jurisdiction of choice for disruptive and emerging technologies. 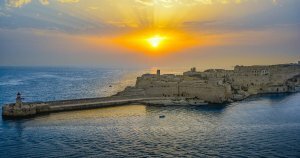 While a relatively small economy, Malta still managed to dramatically outperform its fellow Eurozone states during the first six months of the year. As a result, credit rating agencies DBRS and S&P remain optimistic about the country’s economic outlook. 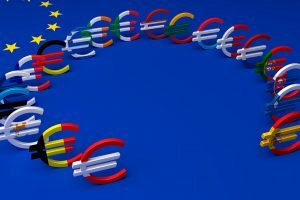 The Eurozone’s smallest Member State was its fastest growing economy during the first six months of 2018. At over 5 per cent, Malta’s economic growth rate topped the Eurozone, according to credit ratings agency DBRS. Consequently, DBRS has confirmed its ”A” long-term rating of Malta, with a stable economic outlook. 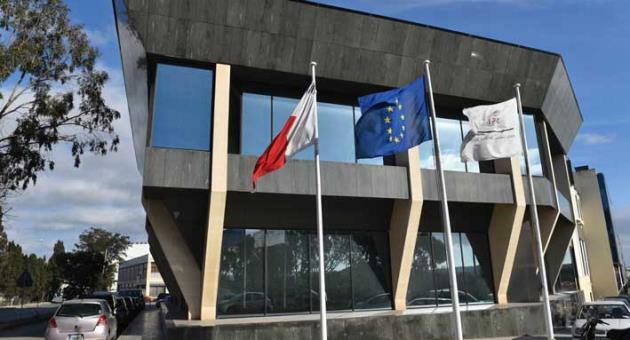 In response to the positive rating, Malta’s Ministry for Finance issued a statement saying, “the rating reflects Malta’s remarkable broad-based economic growth, its strong external position and low reliance on external financing, as well as its favourable public debt structure and households’ strong financial position”. Indeed, Malta’s economic performance has been extraordinarily impressive, with several key economic indicators outperforming the Eurozone’s largest economies. Last year, the island’s economy expanded by 6.7 per cent, nearly triple the average growth rate across the Eurozone, which came in at 2.4 per cent. Malta’s debt to GDP, which reached its highest level in 2011, has fallen by nearly 28 per cent, placing it well below the average of euro sharing countries. What’s more, at less than 4 per cent, Malta’s unemployment rate tied for second lowest with the Netherlands, just behind Germany. Of note is the fact that Malta’s fiscal surplus rose to 3.9 per cent in 2017, an astonishing 3.1 percentage points above the government’s target. This is thanks in large part to the country’s Individual Investor Programme (IIP), which contributed 2.6 per cent of GDP growth in 2017 compared to 1.7 per cent the previous year. Malta requires a comparatively large investment for individuals wishing to participate in the programme, which grants Maltese citizenship to individuals who purchase at least 150,000 euros of financial instruments and make a 350,000 investment in real estate, with a minimum holding period of five years. Despite this relatively high bar, the IIP brought in 230 million euros last year, generating 5.4 per centof overall government revenue. Malta’s private sector has also performed well. There has been a steady increase in the country’s labour supply thanks to net migration and more women entering the workforce. Valletta has also benefited from a rise in productivity over the past four years. Furthermore, the demand for Maltese services, especially financial services, contributed to a 13.6 per cent current account surplus last year, a 30-year high for the country. Regarding the banking sector, DBRS noted that Maltese financial institutions have robust Tier 1 capital ratios, high levels of liquidity, and stable profit levels. DBRS’ upbeat evaluation of Malta’s economy was echoed by S&P’s upward revision of Maltese sovereign debt last month. S&P increased its outlook for Malta’s long-term sovereign credit rating from stable to positive, citing strong growth, the current account surplus, and small government deficit. Moreover, the agency stated that it might increase its ratings on Malta over the next 24 months if economic growth remains in line with their expectations. 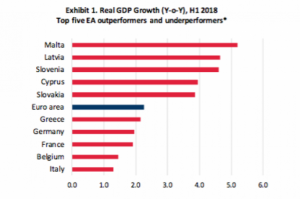 This generally outstanding performance of the nation’s economy leaves many to wonder just how Malta managed to outperform so many of its fellow member states. A key reason is its stable government. In June 2017, the ruling Labor Party won a comfortable majority, providing it with the necessary breathing room to continue with its reform agenda. The government has focused on crafting policies that create jobs, improve housing affordability, and enhance both physical and human capital within the economy. The International Monetary Fund has backed up the credit rating agencies’ rosy outlook for Malta. The organisation projects real GDP growth of 5.4 per cent this year, and 4.6 per cent in 2019. It also expects that the government deficit will continue to fall over the next two years. Thus, while Malta may not be the economic engine of Europe, its steady GDP growth is an example of Southern Europe’s contributions to the recovery of the Eurozone. The maritime sector is one of the driving forces of Malta’s economy, since we cannot depend on road transport for imports and exports. Without good maritime links, our economy would stifle…. The maritime sector is one of the driving forces of Malta’s economy, since we cannot depend on road transport for imports and exports. Without good maritime links, our economy would stifle. It is thus paramount that we maintain and enhance our connectivity with the rest of the world, not only through port access but also through effective and efficient port services which are an integral part of the economic and social cohesion of the island. The challenges are several. Physically the biggest challenge is of course, port capacity. Both the sea- going ships trading internationally and the domestic fleet have been growing steadily in size, numbers and speed. Thus the demand for more berths and mooring areas. Another challenge, or opportunity, is information technology including cyber security and the creation of seamless data flows. Shipping is a 24/7 business that has developed the just-in-time concept and an attitude to work in real time. We need to work hand-in-hand with all stakeholders to have an effective national single window that reduces the administrative burden in reporting and documentation. Malta’s geographical location, albeit having various benefits, as it is closely located to one of the major trading routes, also offers a number of challenges such as exposure to non-EU member states competition. We have invested heavily and actively in maritime policy development both at EU and at the international level. We strive to take full advantage of funding opportunities provided in the context of the current EU financial perspectives, in particular, through the Connecting Europe Facility and the European structural funds, with the aim of ensuring better connections to mainland Europe and to establish long-distance intra-EU passengers. Government is well aware that Malta has a natural potential to become a centre of maritime excellence in the Mediterranean and has implemented a number of initiatives to make this happen. Malta, as an EU member state, is more attractive as a centre for international business in the EuroMediterranean region. Internationally Malta is recognised as a safe and secure place to do business, it is low risk, has high economic, legal and political stability. It boasts a highly-qualified and flexible workforce and a proactive business environment. All these key factors have made Maritime Malta the ideal location for foreign direct investment and international trade. The maritime industry in Malta plays an important role in Malta’s modern dynamic economy. 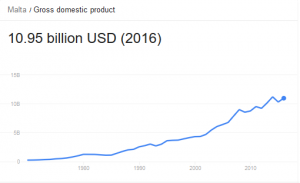 Its contribution to economic activity has also been increasing over the past years and prospects for the future are healthy. Malta has today established itself as a quality maritime jurisdiction in which leading players in the sector are increasingly showing their confidence. Throughout the years, the Maltese Ship Register has maintained a steady growth rate and by the end of August 2018, the total gross tons registered was almost 77 million, consolidating Malta’s position as the leading flag State in Europe and the sixth largest in the world. He Malta flag also caters for the distinctive requirements of the yacht and superyacht industry. In fact it has developed specific legislation to this effect. 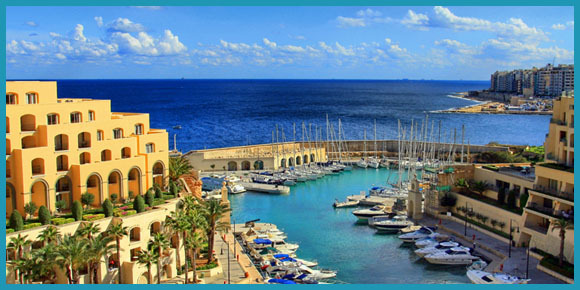 Maltese law provides for the registration of yachts and superyachts. Nowadays, there are over 750 superyachts registered under the Malta flag, making Malta one of the world leaders in the yachting industry. We look towards the future with confidence. The competitive position of maritime Malta continues to be at a high level, as we maintain an active role in all International maritime fora and the EU. With systematic work, the implementation of proactive actions and measures, the close and mutually beneficial dialogue between the government, the industry and all our social partners, the Maltese maritime sector will continue to expand and develop as a quality-oriented and competitive maritime centre. The cooperation and contribution of all industry stakeholders remain invaluable pillars in what we have achieved and the future achievements of the years to come. This small European nation isn’t afraid of blockchain or crypto. 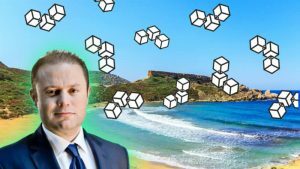 Prime Minister of Malta Joseph Muscat just announced that Malta will become “the blockchain island.” In his address to the United Nations General Assembly, Malta’s Prime Minister explained what blockchain and cryptocurrency will do for the small European nation of Malta, and how the world can benefit from a global digital economy. The Prime Minister of Malta began his United Nations speech, “I believe that global problems require global solutions.” Instead of adopting nationalism, Malta’s leader proposed an international, cooperative approach. “Local solutions breed global problems with devastating results,” Muscat added. Specifically, Malta looks at pollution and immigration as global issues. An island in the Mediterranean, Malta contends with ocean pollution and massive immigration from war-torn regions to the south. Malta’s answer to hurdles like immigration and pollution? Blockchain, AI and technology as a whole. “This is why, in Malta, we have launched ourselves as the blockchain island,” the Prime Minister explains to the United Nations. Malta sees cryptocurrency as the future of money. Beyond crypto, the Prime Minister of Malta also suggests applying blockchain technology for medical records. “It can provide solutions to healthcare solutions where patients have real ownership of their medical records,” he explained. This comes after Italy and a majority of other European Union countries came out in support of a Europe-wide blockchain initiative. Furthermore, Malta looks to use blockchain to give people control over their data—taking control away from states and companies. 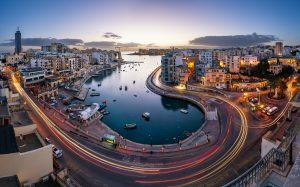 As part of Malta’s larger push to adopt blockchain and accept cryptocurrency, Malta’s Prime Minister foreshadows the rise of the digital economy. 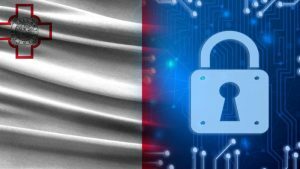 First and foremost, it could give people control over their data, including their medical records, explained Malta’s Prime Minister. Cryptocurrency can also function as a more global alternative to fiat, cryptocurrency terminology meaning government-backed, currency. For these reasons and more, Malta is to become “the blockchain island” joining the most cryptocurrency friendly cities and countries. In other words, blockchain will make a lot of work redundant. In fact, blockchain may leave you and everyone else unemployed. Despite this, Malta sees blockchain and cryptocurrency as the path to the future. Ratings agency Standard and Poor has affirmed Malta ‘A-/A-2’ long-term and short-term ratings saying the country’s economy has continued to expand at a fast pace, facilitating employment growth and government debt reduction. The outlook, it said, remained positive. The Finance Ministry welcomed the ratings. • The authorities strengthened supervisory standards and co-ordination with respect to the country’s international financial sector. The agency said it could revise the outlook to stable if there was a substantial slippage in Malta’s fiscal performance, if risks to financial stability increased, or if external demand from Malta’s key trading partners deteriorated. 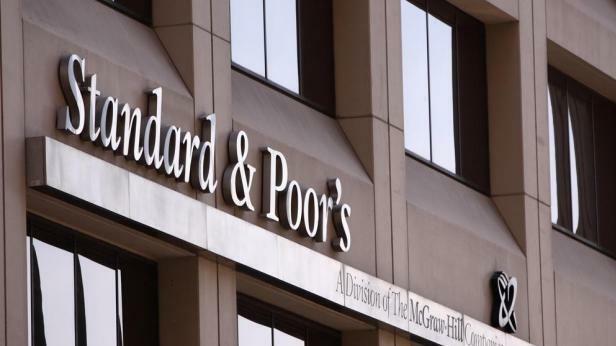 S&P said its ratings on Malta were supported by its strong growth performance, recurring current account surpluses driven by its large services exports, and the improving general government budgetary position and fiscal management. The ratings were constrained by Malta’s relative vulnerability to changing international financial conditions in light of its small, open economy. The agency viewed the resilience of some of Malta’s new rapidly growing economic sectors as untested. It also considered that the high spread of bank lending rates over eurozone averages, particularly to the corporate sector, impaired the transmission of European Central Bank monetary policy to Malta. The ratings were also constrained by the agency’s limited visibility on external risks given the presence of large flows into and out of Malta, particularly in the financial sector. S&P said the proliferation of new sectors was fueling Malta’s strong economic growth. It projected growth would decelerate over 2018-2021, averaging about 4.5% over the period, as new sectors started to mature. Evolving global tax regulation and rapid house price growth posed risks to growth expectations. While policymaking in recent years promoted a reduction of fiscal imbalances, the transparency and accountability of Malta’s institutions appeared to have weakened. After growing by 6.7% in 2017, S&P projected Malta’s economy would expand by 5% this year with contributions from both domestic demand and net exports. It anticipated continued strong export performance from the e-gaming and tourism sectors, which would also translate into investment activity. 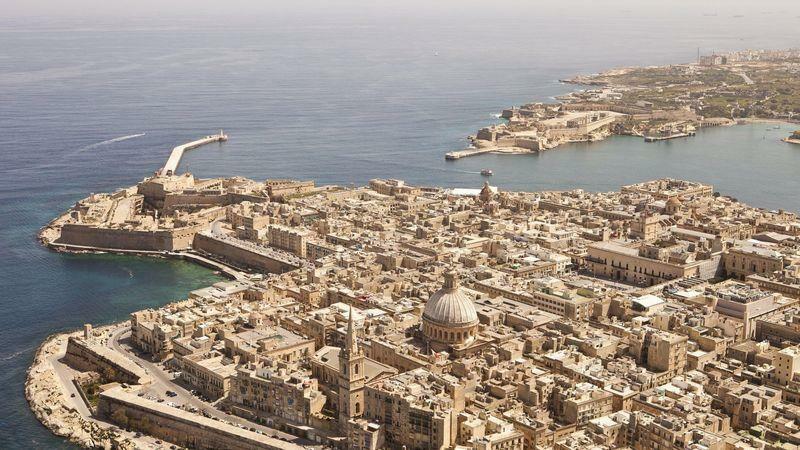 The structure of Malta’s economy changed significantly over the past half-decade, as the growth of traditional manufacturing and financial service exports moderated, S&P said. Growth was instead dominated by the proliferation of new services exports such as tourism, logistics, and e-gaming. Significant investments in energy and logistics were important contributors to growth in 2014-2016. Structural shifts in the economy created new employment opportunities, and the unemployment rate declined further to 4.6% in 2017, the lowest in two decades. Although labour market participation had traditionally been low, reforms in recent years improved participation rates, particularly among younger women. Malta had also been successful in attracting labour from abroad across a wide range of industries and skill levels. These factors prevented wage pressures from forming, despite the tight labour market. Going forward, skills shortages in some areas could prompt wage increases. But these were not likely to hamper Malta’s external competitiveness over the medium term, given other non-cost factors such as regulation, which might be more relevant for Malta, particularly for sectors such as e-gaming. At €13.8 per hour in 2017, Malta’s labour costs were about 55% lower than the eurozone average, it said. S&P said it expected the pace of growth to decelerate through 2021 to a still-solid 4.1% as new sectors, which had been in expansionary mode so far, started to mature. Malta’s growth would likely exceed that of peers at similar income levels and stages of development. The higher pace of growth, immigration inflows, and tourism activity led to higher house price inflation in recent years, bolstered by fiscal incentives such as government schemes for first-home buyers. Another factor could stem from the eligibility criteria for the Individual Investor Program, which required the purchase or lease of property. While recent house price inflation was not yet an issue, concerns could build over affordability in some areas. Growth in recent years has been driven by tourism and e-gaming – sectors that may prove to be subject to significant cyclical swings, as well as potentially large GDP accounting effects. Malta’s National Statistics Office estimated that tourism directly contributes 6% to gross value added, and 16.6% if all establishments whose principal activity was related to the supply of a tourism characteristic product were considered. The arts, entertainment, and recreation sector, of which e-gaming was a major part, increased its share in Maltese gross value added to 13% in 2017 from under 3% in 2000. The sector grew by over 17% annually over 2013-2017. Despite a marked deceleration over the past three years, the sector still grew by nearly 10% in 2017. Other risks emanated from the small and very open nature of Malta’s economy, exposing it to various potential external shocks. A rising trend toward protectionism and Brexit could have important implications for Malta’s trade, services, and financial channels. Further challenges arose from evolving global tax regulation. Nearly a year ago, a study was published which listed Malta as the second most attractive location in the EU for buy-to-let yields. This month, my Maltese falcon namesakes come home to roost as a new report shows that Malta has edged out Hong Kong as the territory or country with the highest residential price gains in the 12 months to June. Is it any wonder then that with such rampant development on the island, Malta’s national bird should be… the crane? The buy-to-let yields and the residential price gains are effectively flip sides of the same coin (and how apt that the coinage figure of speech speaks to monetary gain). It is the currency of property owners and landlords. According to a buy-to-let table published in October 2017 by international payments firm WorldFirst, Malta was the second most attractive location for such investment, surpassed only by Ireland, also registering above average national economic growth. The table, which compares the cost of real estate and rental income yield, shows that last year an investor would have made a 6.64% return in Malta. The island ranked second among 29 European Union Member States in terms of average rental yield. Average rental yields in Portugal (6.43%), the Netherlands (6.27%) and Slovakia (6.12%) were deemed also to have a good return on investment. Malta’s boost in the buy-to-let rankings arrived on top of a booming rental market driven by a high demand from well-paid foreigners working particularly in the i-gaming and financial services sectors. It will be interesting to see when the 2018 survey is published In October whether Malta has ascended to the top spot. 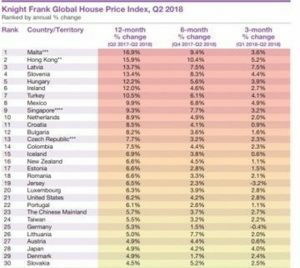 Meanwhile, according to this month’s Knight Frank LLP Global House Price Index published on Friday, the island’s real estate has the highest ‘price gains’ in the world. 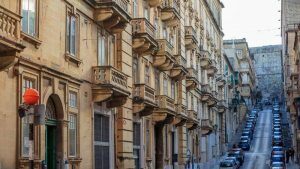 Based on figures taken from Malta’s own Central Bank, home prices on the island rose some – wait for it – 16,9% in the 12 months to June when compared to the same period in 2017. “Supply constraints, combined with a robust economy (6.6% GDP growth in 2017) and a buoyant technology industry is pushing up demand,” the report said. Hong Kong, historically the world’s priciest housing market, came in second, with price increases of 15,9%. It has led the index’s rankings on 10 occasions since 2009. Back in July, the EU’s House Price Index had suggested that property prices on the island were actually dropping, though the Developers Association quickly shot down those findings. Malta Developers Association president Sandro Chetcuti has maintained that the facts show that there has actually been an increase in property prices across the board. Local analyses have shown property prices were increasing at the rate of about 4-5% when compared to the same period the previous year “at a minimum”, Chetcuti said. The Central Bank of Malta’s quarterly review published in May had found that the Property Price Index computed by the National Statistics Office showed that prices increased at the more moderate rate of 4.1% during the last quarter of 2017, after rising by 4.8% in the third quarter. 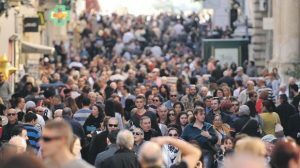 Although fantastic news for landlords and property owners, surging rents have created a great deal of downstream disturbance in the lower socio-economic demographic. The influx of foreigners to Malta has seen the rental market rise across the island, with average monthly rents doubling, and in some areas even tripling over recent years. Although this has resulted in a bonanza for landlords, it is having negative repercussions, particularly on locals, who are finding it increasingly difficult to keep up with the higher rates. Other tenants risk being driven out of the market, with landlords preferring to rent their properties to foreigners and charging higher rates creating increased pressure on social services. NGOs have been calling on the government to intervene in the uncontrolled rent spiral. Developers and real estate agents dismiss the calls, insisting that the government should subsidise rents instead. The rental boom has given birth to a new and particularly Maltese phenomenon: build-to-let. Whereas the phrase ‘buy-to-let’ puts the purchaser in the frame, ‘build-to-let’ prioritises the developer. In terms of the secret language of words, build-to-let tells you that the axis of power on the island has shifted. The buyer no longer has the power, instead it has been captured by the property developers who have come to control Malta’s economic agenda and thus its future legacy. The rich get richer and the poor get poorer – it was ever so. 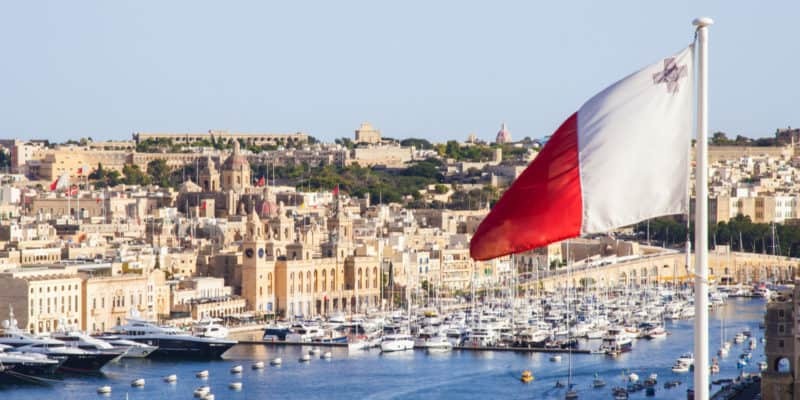 With economic growth reaching the 5.7% mark in the first half of 2018, Malta has emerged as the top eurozone performer in a league table compiled by a leading rating agency. In its macro update for Europe, DBRS reported on Tuesday that Malta’s real GDP growth in the first six months was well above the euro area average of 2.3%. The second and third-best performers were Latvia and Slovenia with growth rates of 4.4% and 4.3% respectively. But Malta was also among the three countries with the lowest unemployment rate at 3.9%. Germany had the lowest unemployment rate at 3.4%, while the Netherlands registered a rate at par with Malta. DBRS said growth in the euro area had “a weak start” to the year but remained steady. “Growth was driven by household consumption and gross fixed investment. By country, the top performers include Malta, Latvia, and Slovenia, while the underperformers include Italy, Belgium and France,” DBRS said. At its September policy meeting, the European Central Bank (ECB) revised downwards its economic growth forecast for the eurozone in 2018 as a result of rising external risks. The ECB had already cut its growth forecast to 2.1% from 2.4% in its June meeting. The projection for 2019 was also revised downward to 1.8% from 1.9%. 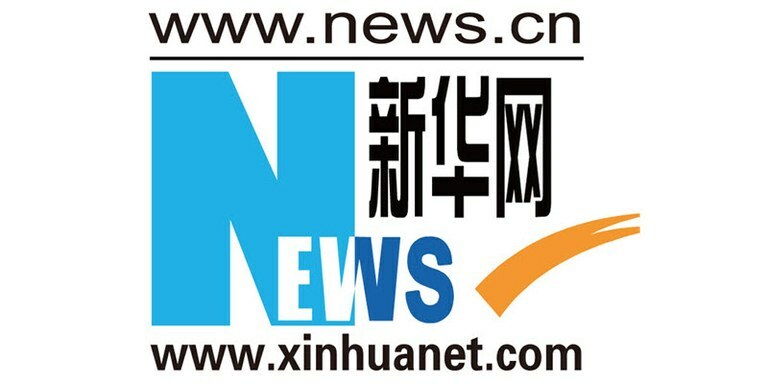 VALLETTA, Sept. 18 (Xinhua) — At a 5.7 percent growth rate in the first half of 2018, Malta’s economy is the fastest growing within the eurozone, according to data released by the rating agency DBRS on Tuesday. In its macro update for Europe, the agency reported that Malta’s real GDP growth in the first six months was significantly higher than the euro area average of 2.3 percent. Latvia and Slovenia placed second and third with growth rates of 4.4 percent and 4.3 percent respectively. In addition to its rate of economic growth, DBRS also noted that Malta’s unemployment level was among the lowest in the eurozone at 3.9 percent. The lowest level of unemployment was registered in Germany at 3.4 percent. The rating agency described growth in the euro area as off to “a weak start” in 2018. It added, however, that it remained steady. “Growth was driven by household consumption and gross fixed investment. By country, the top performers include Malta, Latvia, and Slovenia, while the underperformers include Italy, Belgium and France,” DBRS said. 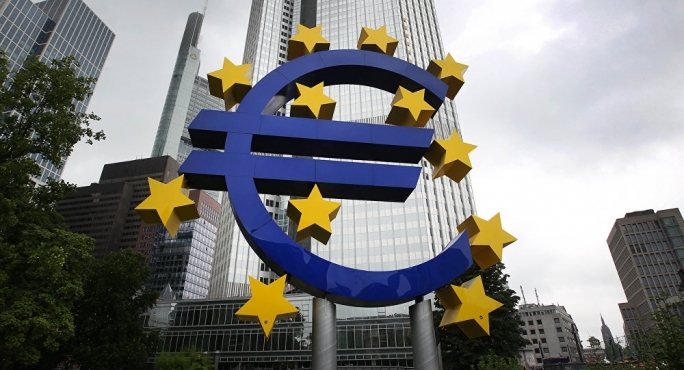 At its September policy meeting, the European Central Bank (ECB) revised downwards its economic growth forecast for the eurozone in 2018 from 2.1 percent to 2.0 percent. 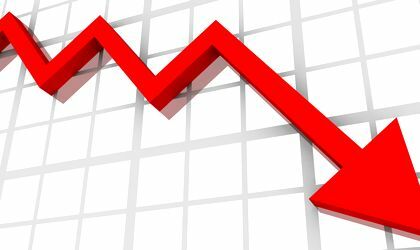 The projection for 2019 was also revised downward to 1.8 percent from 1.9 percent. The Waves Project is currently based in Moscow, and the move to Malta is due to the crypto and blockchain friendly environment. Recently, multiple other cryptocurrency companies have moved their operations to Malta, including Binance and BitPay. 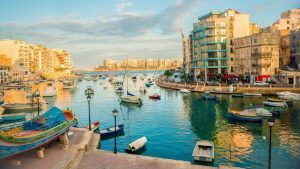 The small island nation of Malta has pulled ahead of pricey Hong Kong to become the world’s fastest growing housing market, according to a report from property consultancy Knight Frank. A strong economy and limited housing stock has propelled prices on the Mediterranean island by 17% in the second quarter of this year compared to the same time a year ago, according to the report published Tuesday. A growing tech industry in Malta has boosted the country’s economy, which grew by 6.6% in 2017. 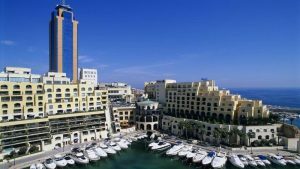 Malta unseated Hong Kong, which had the strongest annual price growth in the first quarter of this year and has led Knight Frank’s quarterly Global House Price Index nine times since 2009. Home prices in the autonomous Chinese region grew 15.9% in the second quarter compared to a year ago. 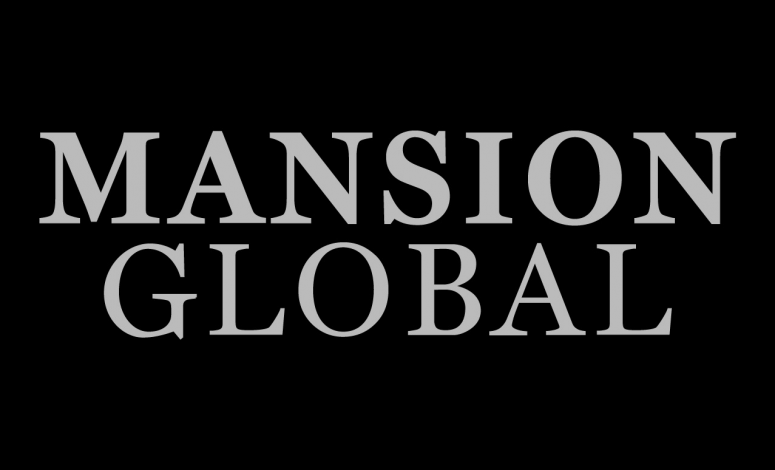 Compared to the rest of the world, the double-digit growth in Malta and Hong Kong is exceptional. Globally, prices grew at a modest rate of 4.7%, the slowest level in nearly two years. “The rising cost of finance, an uncertain political and economic climate and currency instability in some markets is likely to be tempering demand,” wrote Kate Everett-Allen, author of the report and part of Knight Frank’s international residential research team. Rising mortgage rates and new government regulations are expected to moderate Hong Kong’s runaway housing market, according to the report. The city, along with New Zealand and Singapore, have all introduced new measures this year, including extra taxes or bans on foreign buyers, which are meant to cool rapid price growth. Meanwhile, there are still areas of the world where housing prices have yet to return to their pre-financial crisis peaks. Saturday marks one decade since the collapse of Lehman Brothers—the beginning of the global crisis—and there are still a dozen countries tracked by Knight Frank where prices are still below their 2008 levels. They include Spain, Greece, Russia and Ireland—though Ireland is now zooming forward with annual price growth at 12% in the second quarter compared to a year ago. Meanwhile, only seven countries are experiencing negative price growth. Average prices fell 4.5% in Ukraine, 1.6% in Peru and 1.3% in Saudi Arabia in the second quarter of 2018 compared to a year ago. For many people, Malta is very appealing not just a place to move to, but also a place to start a business in. 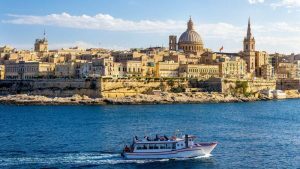 As well as the seriously beautiful surroundings of this country, there are numerous reasons other reasons why you should move shop or start completely afresh by moving to Malta. With Brexit just around the corner and the uncertainty it brings, there has actually been little to stop the rest of the EU flourishing. Interestingly, as Malta was once part of the British Empire; it is this small country that seems to be benefiting and growing the quickest. During 2017, Malta’s GDP grew by 6.9% and according to the latest interim economic predictions by the EC, there is expected to be a further increase by 5.8% during 2018 and 4.9% during 2019. One of the reasons for Malta’s growth is the fact it has modernised things and expanded its job market. While the bread and butter of the Maltese economy, tourism and fishing continue to deliver, the gaming and financial sectors are having increased success. As the job market increases, the unemployment rate decreases. When you look at the countries figures concerning unemployment a little closer, that is when you see even more reason to move there and work there. There was an increase in the rate of employment across the board, but the age group that saw the biggest unemployment drop was the 24 to 29-year-old people. This group experienced an incredible drop in unemployment by around 44%. Even more interesting is the fact that 16% of those who entered employment, joined the service industry, while 24% joined the clerical support field. As these industries continue to show incredible growth, there continues to be interest from businesses overseas. There has been a considerable rise in the number of investments and trades taking place in Malta, and during the 2015 Open Market Index, the country was titled ’13th most open economy in Europe’. This increase has led to an increase in the economic growth. Malta has also been able to secure a multitude of FDI or Foreign Direct Investments. These have taken place in numerous sectors such as aircraft maintenance, online gaming, manufacturing and financial. Back in 2016, the position of Maltese FDI stock was at the 156.7 billion Euros mark, which contributes to the country being considered a safe place for foreign businesses to invest. 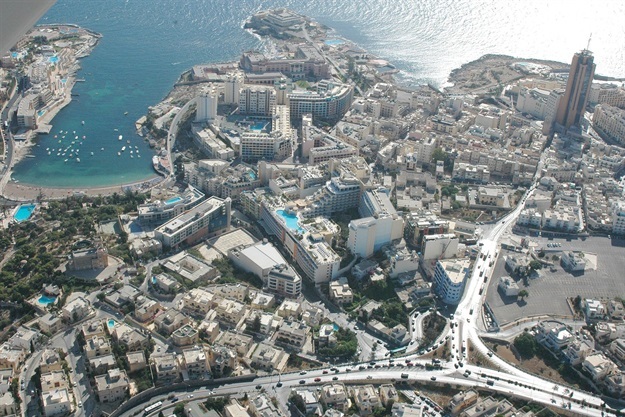 What Is In Store For Even The Outdated Maltese Infrastructures? Although there is rapid growth in Malta the public infrastructure is not an area experiencing this growth. In particular, sectors like housing and transportation need to change considerably to exceed the expectations of the country’s blooming economy. Over the next couple of years, there is expected to be a continuation of the attraction to Malta for new investors and as a result, the traffic and population will continue to increase as people move to Malta. In order to successfully address that, economists have been trying to find solutions with the longer term in mind. For example, the considerable redevelopment of infrastructures like transport and housing sooner rather than later. 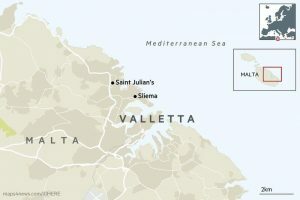 This means improvements to commercial and business buildings and improved roads, along with an increase and enhancement to residential buildings, all to encourage people to move to Malta. You need to note though, that these redevelopment and infrastructure improvements will take a lot of financing and time. It is expected that it could take roughly 10 to 20 years before the changes are really seen. If you are thinking about moving to Malta, don’t think about it twice. The Maltese Islands are beautiful, we have good job opportunities and our food is amazing. Malta’s economy grew by 4.4 per cent in the first quarter of this year, a slowdown from the 6.6 per cent growth registered in the same period last year, figures issued on Tuesday show. In nominal terms, Gross Domestic Product (GDP) for the first quarter of 2018 amounted to €2,795.1 million, an increase of €171.0 million or 6.5 per cent when compared to the corresponding quarter last year. In real terms, GDP went up by 4.4 per cent. That was similar to last year’s growth for the first quarter. The figures emerged from data released by the National Statistics Office on Tuesday. Gross Value Added (GVA) increased by €155.4 million when compared to the same quarter last year. GVA is the net result of output valued at basic prices less intermediate consumption valued at purchasers’ prices. activities which increased by €21.1 million or 6.1 per cent. Compared to the first quarter of 2017, GDP at current prices went up by €171.0 million, and is estimated to have been distributed into a €78.3 million increase in compensation of employees, a €69.9 million increase in gross operating surplus of enterprises and a €22.8 million increase in net taxation on production and imports. The activity of the Malta Financial Services Authority continued to register growth in 2017 with the issuance of various licences and authorisations predominantly in the areas of insurance business, investment services, investment funds and trust. The Authority has given a snapshot of its activities through its Annual Report tabled in Parliament by Parliamentary Secretary Silvio Schembri. The MFSA today regulates over 2,180 licence holders, a significant increase of over 360 during the past three years. This increase was paralleled by a significant strengthening of supervision and compliance, with the latter being carried out through both off-site and on-site inspections. 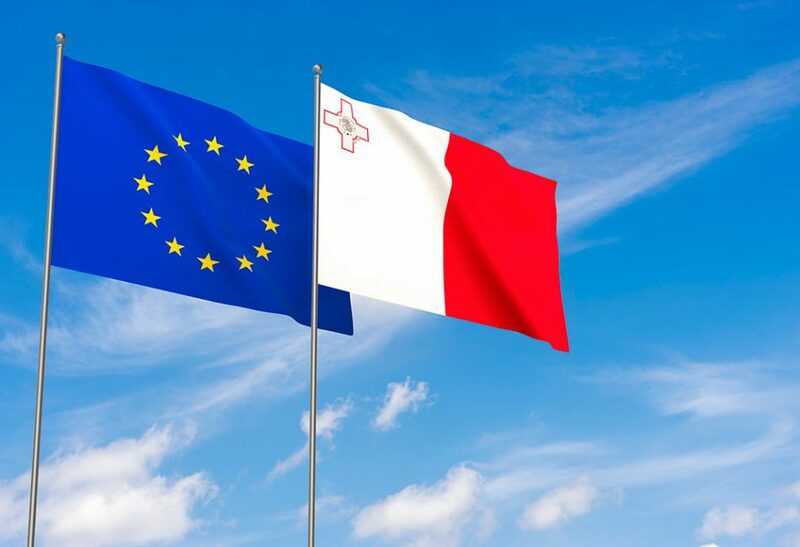 The year 2017 was also an important year for the Authority in connection with Malta’s role as the Presidency of the Council of the European Union for the first six months of the year. The Presidency came at an important juncture for the financial services sector, particularly in view of technical discussions on the completion of the Banking Union and upcoming negotiations on key legislative proposals related to the Capital Markets Union. The MFSA was also involved in drafting various pieces of legislation and regulation throughout the year. Commenting on the publication of the Annual Report, incoming Chief Executive Officer Joseph Cuschieri, described the report as “a detailed snapshot of the extensive work carried out by the Authority. The MFSA is handling an ever growing number of licence holders, and invested significant resources to strengthen its due diligence processes, both prior and post licencing. This is being done to ensure that Malta delivers on the expectations placed on it as a respectable financial services jurisdiction. However, as an Authority, we are also looking forward at embracing the new opportunities arising from financial technology, blockchain and other means of digital innovation. A call for offers has been issued towards the building of two tunnels beneath the Santa Luċija roundabout – a project with an investment of more than €20 million which will be led by the infrastructural agency to be set up by the government in the coming weeks. The project planning started during the last quarter of 2017 at the request of the Ministry for Transport, Infrastructure and Capital Projects to continue easing difficulties in the journeys of Santa Luċija, Tarxien, and Paola residents and thousands of others who pass through the area every day. 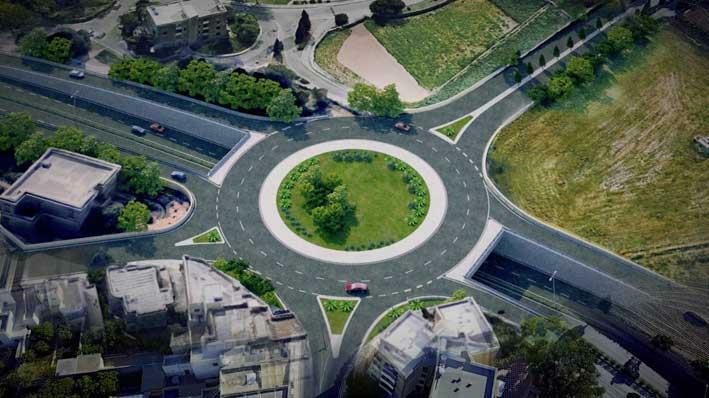 The investment in this main node of the Maltese road network includes a new design for the roundabout so it becomes safer, as well as the building of two tunnels directly connecting Santa Luċija Avenue to Tal-Barrani Road. This way, when passing from Santa Luċija Avenue to Tal-Barrani Road or vice versa, there won’t be a need to enter the roundabout – instead, one can pass through the tunnels without stopping. This roundabout is also one of the main access points for Santa Luċija, Tarxien, and Paola. When the new tunnels are completed, residents will find less difficulties when going to or leaving their homes in these localities. The roundabout will be designed with the aim of reducing the risk of accidents while being used less frequently. The call for offers issued in the last few days includes the digging out of two tunnels with two lanes each – each more than 100 metres long. Above these tunnels, the existing roundabout will be rebuilt with improved access for adjoining localities. The project also includes the changing and strengthening of several distribution services regarding water, electricity, and telecommunications currently underground in these roads. The call for offers for these works closes in the coming weeks. The project will be led by the new agency which the Ministry for Transport, Infrastructure and Capital Projects is setting up in the coming weeks. The agency will have the responsibility of implementing the government’s commitment to push forward the great leap in road infrastructure quality and transport in our country and will implement large-scale projects – such as this one – to mitigate travelling difficulties in main roads. At the same time, it will focus on the repairs, maintenance, and rebuilding of residential roads in Malta and Gozo. Among these is the rebuilding of around 160 roads that, despite housing hundreds of residents, have never been built or given tarmac as necessary. Minister Ian Borg explained that the building of the Santa Luċija tunnels is another development in the government’s long-term plan for better transport in the country. “When I was given the responsibility for the government’s investment towards better roads, I made it clear that everything we do needs to be implemented as part of a long-term plan with measures of different levels and sizes which fully complement each other. I made a request to review projects which were already planned or being implemented and to see how these would affect nearby areas. Among others, we studied the Kappara junction project and the Marsa junction project and we identified several solutions which could lead to more benefits gained from these investments”. “In fact, we immediately initiated planning towards the project which would widen the Marsa- Ħamrun by-pass – a €5 million investment which started being implemented last month, as well as the Santa Venera tunnels project. These projects will continue to improve the efficiency and safety of one of the main routes between the North, Centre, and South of the country; roads which see tens of thousands of commuters every day. We will continue striving to achieve more sustainable modes of transport which are more efficient as well as safer, as Malta and Gozo truly deserve”. The Shoreline will be home to approximately 400 luxury apartments complete with shopping mall, recreation centres, and other amenities, making it the largest private construction project in Malta to date. In response to market feedback, The Shoreline Residence Ltd has just released a number of units, including some upper floors in blocks that are already on the market, with totally new layouts. The news follows the appointment of lighting consultant Franck Franjou from France, (franckfranjou.com/), acoustic consultant Hann Tucker Associates Ltd from the UK (hanntucker.co.uk) and LEED consultant Greenwich from Italy (greenwichsrl.it/) announced just two weeks ago. “Whether it’s the exterior with spectacular views from large terraces, beautifully landscaped open spaces, the assortment of community amenities, lighting architecture and toned acoustics, or the interiors with out-of-the-ordinary floor plans, wide frontages, and a particular attention to detail, including intelligent lighting, walk-in wardrobes, underfloor heating in main en-suites, eco-friendly air-conditioning systems, storage and laundry rooms, or colour video intercoms among several others touches of avantgarde living, nothing is left to chance,” explained Ryan Otto, Managing Director at The Shoreline Residence. “As other projects are coming up in SmartCity and a constantly increasing number of tenants are committing to a prestigious address at The Shoreline, we are experiencing a further surge in interest from both Maltese and foreign investors. They prefer to buy on plan now as they are buying tomorrow’s property at today’s price. On our part, we are offering comfortable payment plans for these ultra-modern apartments that will benefit from strong capital appreciation in the not too distant future. The Shoreline will be home to approximately 400 luxury apartments complete with shopping mall, recreation centres, and other amenities, making it the largest private construction project in Malta to date. The mixed-use development is envisaged to bring the excitement of a leisure destination to SmartCity Malta, offering a varied mix of one, two and three-bedroom residences that enjoy spectacular views, landscaped open spaces, and an assortment of community amenities. These apartments enjoy a Special Designated Area Status (SDA), and fully conform to the parameters of the approved 2008 Masterplan for SmartCity Malta. In January 2018, a pre-qualification process launched by the company for a main contractor with the aim of awarding a design and build contract for the project attracted responses from a substantial number of leading engineering and construction firms operating in Malta and internationally. 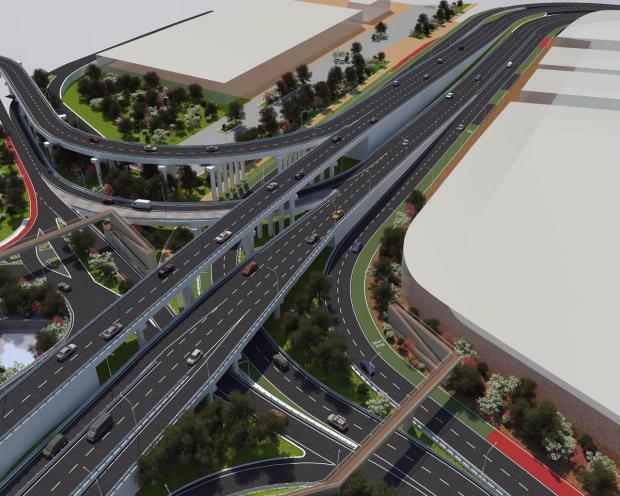 The €70 million three-year Marsa junction project is “on track”, and motorists will be able to commute across three new lanes by summer, according to details given on Thursday. 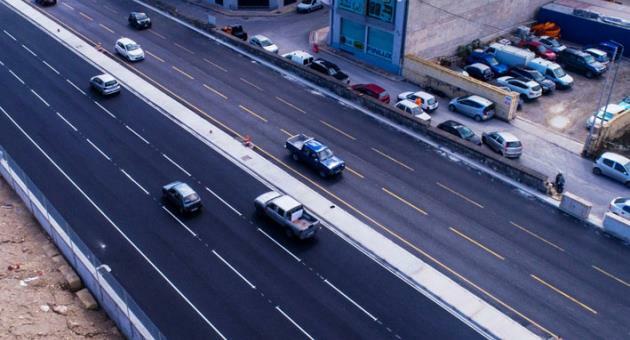 Based on current progress, new lanes on Triq Ġuze Gatt, Triq il-Gvern Lokali and Triq Aldo Moro will be completed as part of the second phase in the coming months, Transport Minister Ian Borg said. Addressing the media with European Commissioner Corina Crețu at the project site, which sees some 8,000 vehicles every hour, Dr Borg said that by the end of the year, €6.2 million would have been invested in the project. This translated into three kilometres of new or rebuilt lanes, 11,500 tonnes of asphalt for new lanes, the demolition of two factory buildings, six kilometres of trenches for utilities or telecommunications networks, 1.7 kilometres of storm water systems and 400 metres of cycle lanes. Apart from drastically reducing waiting time for commuters, less traffic congestion would mean improved air quality for the neighbouring localities of Marsa and Paola, the minister added. The Marsa Junction project will see the elimination of the traffic lights system to allow for uninterrupted traffic flow. So far, the biggest challenge was determining which interventions could be carried simultaneously without interrupting commuters, Dr Borg noted. Accompanied by ministers Helena Dalli, Dr Borg, and Parliamentary Secretary Aaron Farrugia, the Commissioner for Regional Policy has visited other project sites benefiting from EU funds, including the Xewkija industrial estate and lower Valletta. Minister Dalli thanked the 70 Transport Malta and contractors’ employees involved in the project. She noted that through its financial support, the EU was helping improve people’s living conditions. When it comes to those living around the Marsa junction, the project will help them save time wasted in traffic every day. The stretch of road that usually takes 20 minutes to travel will now take only one minute. The Shoreline Residence Ltd is focused on ensuring that its €200 million landmark project on the east coast of Malta is based on achieving sustainable solutions to deliver internal and external environments of the future, today. For this purpose, the private consortium has appointed lighting consultant Franck Franjou from France, acoustic consultant Hann Tucker Associates Ltd from the UK and LEED consultant Greenwich from Italy. These appointments follow the company’s January 2018 call to invite a main contractor to carry out the design and construction of the project, which attracted the attention of a substantial number of interested engineering and construction firms from leading consultancy, advisory, construction and operations companies operating in Malta and internationally. Franck Franjou, of the eponymous independent lighting firm, has won a number of accolades for creating bold statements using the power of light and counts as his iconic credits, among others, the lighting work at the new City Gate in Valletta. Hann Tucker Associates Ltd is one of the world’s leading acoustic consultants and have insulated buildings of all types from retail to education to healthcare, counting everyone from Harrods to Sainsbury’s as their clients. The Italy-based Greenwich Srl specialises in services for green-building certifications such as LEED and BREEAM. These building codes are often used by property developers around the world to make their developments sustainable. Worldwide, there are more than 140 existing sustainable assessment methods, although LEED (US) and BREEAM (UK) remain the more popular rating systems. The Shoreline will be home to approximately 400 luxury apartments complete with shopping mall, recreation centres and other amenities, making it the largest private construction project in Malta to date. The mixed-use development is envisaged to bring the excitement of a leisure destination to SmartCity Malta, offering a varied mix of one-, two- and three-bedroom residences that enjoy spectacular views, landscaped open spaces, and an assortment of community amenities. These apartments enjoy a special designated area status, and fully conform to the parameters of the approved 2008 Masterplan for SmartCity Malta. 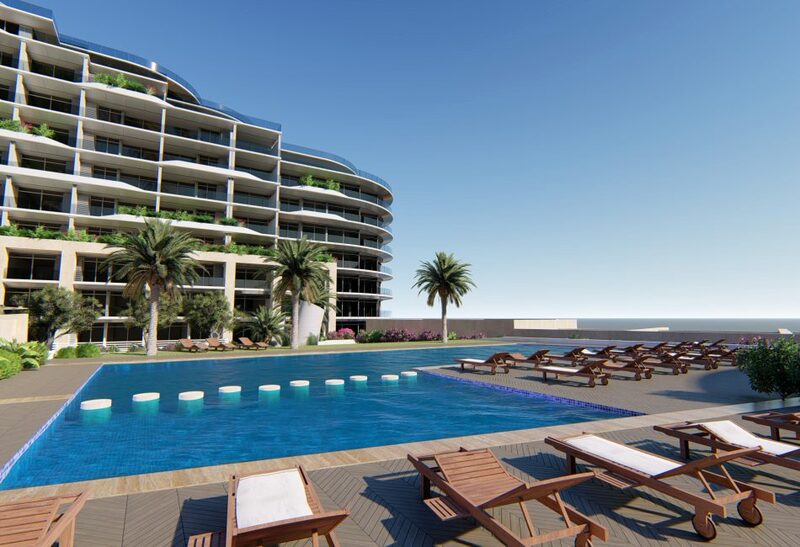 The Shoreline, a landmark development on the east coast of Malta, is seeking to appoint a main contractor to carry out the design and construction of the €200m project. The January invitation attracted the attention of both Malta-based and international engineering and construction firms from leading consultancy, advisory, construction and operations companies. The developer has been contacted by a substantial number of interested candidates, which will be shortlisted through a qualification process used in the construction industry to profile the bidders on their ability to deliver projects, with such considerations as quality standards, environment, health and safety and financial strength all taken into account. The contract calls for the design and build of approximately 400 luxury apartments complete with shopping mall, recreation centres and other amenities, making it the largest private construction project in Malta to date. The main contractor is expected to deliver the development in one go. The key selection criteria, according to the project developer, The Shoreline Residence Ltd, are experience, demonstration of resources and mobilisation speed. The mixed-use development is envisaged to bring the excitement of a leisure destination to SmartCity Malta, offering a varied mix of 1-, 2- and 3-bedroom residences that enjoy spectacular views, landscaped open spaces and an assortment of community amenities. These apartments enjoy a Special Designated Area Status (SDA) and fully conform to the parameters of the approved 2008 Masterplan for SmartCity Malta.